Is figuring out who will host your site out of your comfort zone? No need to siphon off your precious business attention on something we can handle for you. We offer a cloud hosting solution that is secure, reliable and perfect for small business web hosting. We set up your account, upload your site to the server and hand you the keys (don’t worry, we will stick around until your are comfortable). After you know your way around you can rely on the excellent hosting support provided by our partners. This is just one of the ways we can work with you to make your life easy. 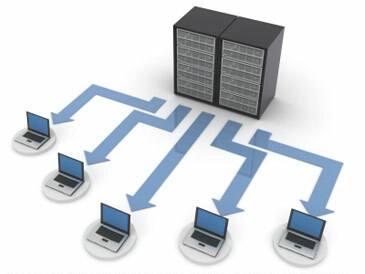 If you currently have hosting with us and need help please see our support docs or call us.